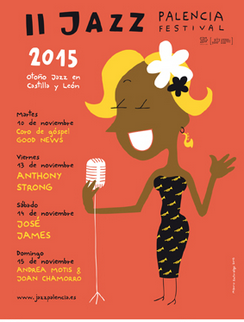 Vocal jazz is the core fot this year edition of 'Jazz Palencia Festival', to be held in Palencia (Spain) from October 30th to Nov 15th. An edition that coincides with the centenary of one of the main voices of jazz: Billie Holiday. Three shows are the main attractions for this year: British pianist and crooner Anthony Strong (Nov 13), singer José James (Nov 14) and quintet formed by Andrea Motis y Joan Chamorro featuring Joel Frahm (15 noviembre). Learn more here.